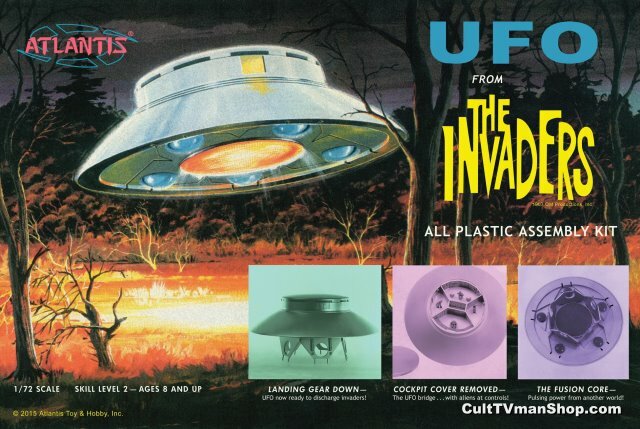 Reissue of the classic Aurora flying saucer, as featured in The Invaders. Produced from the original Aurora molds and molded in silver with clear lower dome parts. This kit features a detailed interior.